It has been written that Freemasonry is honesty in business; that it is fairness in work; courtesy in society; compassion for the sick and unfortunate; forgiveness for the penitent; love for our fellowman and reverence for God. have been told against the Masons over the last couple of hundBLACK years. 98% of these "Professional Anti-Masons" such as Pat Robertson (Whose father was a dedicated Mason) and Dr. James L. Holly, who are preaching the evils of Masonry have never been Masons and do not personally, know anything about the Masonic Lodge. The term, professional means that they sell Anti-Masonic books and pamphlets for profit. What better motive could they have for condemning the Masonic Lodge then to increase the sales of their inflammatory written books and booklets, thereby increasing their profits. The only people in the world who know the truth are men who have worked their way through the degrees. This means these men swore 3 oaths to God with their right hand on the Bible that they would never reveal any thing learned in the lodge. WHAT DOES REVEALING ANY "FACTS" AFTER SWEARING THESE OATHS SAY FOR THEIR CHARACTER AND THE VALUE OF THEIR WORDS. In truth, many of the so called "experts" were rejected by the thorough character screening that all applicants must pass or were voted against by enough members of the lodge who had reason to reject him. A large part of this harassment is a form of revenge for this rejection. Then there is another group who went through 1 or more of the Masonic degrees and later dropped out because of some imagined slight by a member or members of the lodge. Think about this, if the Masons really had evil intentions, why would they require 3 recommendations from men of the lodge (that are thoroughly checked), 5 character references from friends and neighbors (that are thoroughly checked), and after being checked, they must pass a vote by every member present at the meeting before anyone petitioning for membership is allowed to join the lodge. If the Masonic Lodge really had evil intentions, wouldn't it be better served by recruiting less scrupulous people.??? To point out Dr. Holly's mentality, here is an excerpt from one of his letters. "Ninety nine percent of Masons have no concept about what they are involved in . . . They see it as a good ol' boy way of doing charitable works and getting away from the wife awhile, but they don't see how anti-Christian it is." Does this mean that 99 out of every 100 Church going Mason who are trying to do good works and live up to the Christian faith are wrong and God will say "Sorry, you have to go to Hell for living and doing like I instructed you to." I guess we would have to compare the 1 evil Mason out of the 100 to the 1 crooked preacher out of 100 who gets on the radio or TV and swindles the poor and elderly, out of a percentage of their Social Security and pension checks, in the name of God, to maintain their mansions, limousines and extravagant life style. Using Dr. Holly's reasoning all supporters of that preacher's faith are doing the devil's work no matter how good they were in life. I am going to start with a very sad story. A few years ago (in Nov. 1998) one of the members was to be ordained as a deacon. The preacher found out that the man was a Mason and refused to ordain him. There was a meeting of the congregation and they ordered the preacher to ordain the man. The preacher refused and that Sunday he preached a hellfire sermon about the devil worshiping Masons . The congregation held another meeting and ask him to please reconsider. He refused and the congregation held a vote. The preacher lost by a large majority and was informed that he was fired. The preacher had taken this position because he had read a book that said Masons were devil worshipers. It wasn't something he actually found or even interpreted from something in the Bible, but a modern book written by a man with a vendetta against a mason or some particular lodge. He decided to believe the words of an unknown fanatic author over that of the men of his congregation who he had known as righteous, upstanding Christians until he discovered they were Masons. To me this is a very sad story where everyone looses and there are no winners. The preacher lost a congregation and church where he was generally well liked. His wife lost her neighbors and friends and her projects. His children lost their friends and schoolmates and the stability of their home. The congregation lost a young dynamic preacher that fought for his beliefs (right or wrong). The congregation also lost a few of it's members, even causing a split in a family or two. And, because of the preacher's beliefs, the masons lost a little standing with a few members. I can think of a lot of ways for a man to prove his foolishness, but taking everything you read in any individual's book as the gospel truth has to be one of the most foolish, Then to condemn a large part of our male population with no other evidence then another modern man's conjectures or desire to get revenge for rejection is unbelievable to me. The preacher informed the church that he was due to receive 2 months pay if he was fired. Almost all of the congregation was opposed to making the payment and stated that he would never get an extra 2 months pay from their church. Three members of the church stood up and tried to convince the other members that the money was really owed and should be paid. After the congregation refused to pay the extra money, the 3 men made up the full amount from "their own pockets" and gave the preacher the money. The preacher took the 2 months pay without hesitation even though it was made up by 3 well known Masons. Many Masonic scholars and historians believe the Masons may have been formed from the remains of The Knights Templar. The Knights Templar were originally a monastic order of the Catholic Church as the guardians of the Temple of Solomon site and the routes used by the pilgrims going to and from the Holy Land. Although all of the Knights took a vow of poverty, the Order itself grew very wealthy. The Order had it's headquarters in France and the King of France grew very jealous because by 1308 the Knights Templar had grown much richer then he was. He made an agreement with the Pope to discredit the order and they would divide the Templar's riches between themselves. Every known official of the order and many of the individual members were arrested on the night the Pope outlawed the order. They were thrown in prison and all of their property was confiscated. A major problem arose when the kings men couldn't find the reported riches anywhere in France. The King finally resorted to torturing the prisoners, even burning 54 of them alive at the stake trying to discover where the treasure was hidden. The Pope did the worse thing he could, he excommunicated all Templar anywhere and demanded they be arrested by the country where they were living. The King of England found other things to do and ignored the order. The Pope was furious and demanded that the king arrest the Templar in England under the threat of excommunicating the king himself. Bowing to the threat, the English king ordered the arrest of the Templars. However the order to arrest was given 3 days after he announced that the Templars were going to be arrested. Strangely enough, none of the Templars were found. They had all disappeared. Most had gone to Scotland where the Scottish king said the Pope could do what he wanted to, but not in Scotland. Then the Masons publicly "Came out of the closet" so to speak, in 1717. Secret signs, secret passwords, secret handshakes and oaths with severe penalties for revealing the secrets and the identity of brother members wouldn't hardly come from a brand new organization that was making itself "public". But, how about one that had been in hiding for a couple of hundred years under threat of death for being a member??? The intellectual and spiritual foundations of modern democracy, including the American Revolution and the American Constitution, are to be found in large part in the teachings of Jean Jacques Rousseau and in the ideas cemented into the great first Encyclopedia. And it is a fact that most of the authors of that epoch-making Encyclopedia -- Diderot, D'Alembert, Condorcet, the famous Swiss philosopher Helvetius, etc. -- were Freemasons. The envoy to France from the rebellious American colonies, Benjamin Franklin, also was an ardent Freemason. So were George Washington, sixty among his generals, John Hancock and a great many of his co-signers of the Declaration of Independence. Both Washington and Franklin long held the post of Grand Master. "The general pacifistic paralyzation of the national instinct of self-preservation, introduced into the circles of the so-called `intelligentsia' by Freemasonry, is transmitted to the great masses, but above all to the bourgeoisie, by the activity of the great press, which today is always Jewish." In 1917, as one of their acts, the Bolsheviks dissolved all lodges in Russia. In 1919, when Bela Kun proclaimed the dictatorship of the proletariat in Hungary, one of his first decrees ordered the dissolution of Masonic lodges. In 1925, Spain's first dictator of this generation, General Primo de Rivera, ordered the abolition of Freemasonry in his country.Benito Mussolini went about the same business more methodically. Having established his regime, Il Duce proceeded step by step to exterminate the lodges and the influence of Italian Freemasonry. In the summer of 1925 Mussolini got around to dissolving Italian Freemasonry. The Nazis acted more swiftly. Immediately on Hitler's rise to power, the ten Grand Lodges of Germany were dissolved. Many among the prominent dignitaries and members of the Order were sent to concentration camps. Why does this implacable and fanatic hatred of the Order obsess the totalitarian mind? The answer is in the whole history and temper of Freemasonry. For more than two centuries its leaders have been consistently on the side of political freedom and human dignity, reaping a harvest of persecution at the hands of tyrants. The Bible teaches us that the devil is always among us trying to recruit as many followers as posable. But, no one will ever ask you to become a Mason. Masonic Secrets. There are fewer secrets to Freemasonry than most non-members imagine; even many Masons are not entirely clear on what is and is not secret in Masonry. The moral principles of Masonry are the same as those taught you in Sunday school or at your mother's knee (sometimes over it! ); it is only the exact procedures and words by which those principles are taught in Masonry that are secret, for it is the knowledge of those that distinguishes a Mason from those who are not members. To be entitled to the fellowship peculiar to the Lodge, a Mason must be able to identify himself, and these secrets provide the means for doing so. My daughter went to the Shrine Hospital for 18 years, sometime 3 or 4 days a week, She had countless operations, braces, special shoes, walkers and crutches. In all that time, we were never ask for a single dime or for our insurance policy. This was long before I became a Mason . 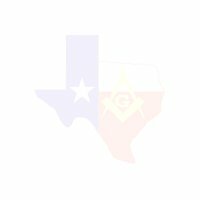 If you think Masons are evil, visit the Shrine Crippled Children's hospital in Houston, The Scottish Rite Hospital For Crippled Children in Dallas and the Shrine Burn Hospital in Galveston and see the thousands of children and burn victims being helped with out any request for payment. Whats that? You didn't know that all Shriners have to be a Mason first and for as long as they are a Shriner. Now for a really good one, many preachers use the above fact as evidence that Masons are trying to get to heaven by good works. Why would devil worshipers work so hard trying to get into to heaven??? Masonary is not a religion, it teaches a way of life that was embraced by men such as, Presidents George Washington, James Madison, Thomas Jefferson, James Munroe, Andrew Jackson, James K. Polk, James Buchanan, Andrew Johnson, James A. Garfield, William McKinley, Theodore Roosevelt, William Howard Taft, Warren G. Harding, Franklin D. Roosevelt, Harry S. Truman, and Gerald Ford. It also includes many who lost likeThomas E. Dewey, Alf Landon, Hubert H. Humphrey, Robert Dole, George McGovern, Barry Goldwater, Estes Kefauver, George Wallace, Earl Warren, and John Sparkman as well as Wendell Wilke and Adlai Stevenson. Even heros like Patrick Henry, Nathan Hale, and John Paul Jones. In other countries where true democracy is not a reality, even Royalty belongs to the Order. Both King George VI and the Duke of Kent are Freemasons; so is the Duke of Windsor. His grandfather, Edward VII, was the chief of British Masonry, and he was succeeded in the post by the aged Duke of Connaught. King Gustav V heads the Freemasons of Sweden. The United States, the greatest country in the world, was founded, formed and governed by these men. I haven't talked to you in a long time. Let's see, it was on the 18 day of April 1982,the day before you died. I'm not sure if this way will work, but it's the only way I know that may work. I can only hope that you can read this letter over my shoulder as I type and know what I would love to tell you in person. Not an awful lot has changed in the 11 years since you passed on, except we are all older. There has been one major event in my life however that I wanted to share with you. I have finally learned the fundamental secret of Freemasonary. If the teachings of Christ had never reached these shores, living up to the Masonic teachings would be the best way to get to heaven. I remember how excited you were when you were raised to the Master Mason's degree and how you rushed home that night with your white lambskin apron. Somehow, the idea of being excited about something for you to be buried with, escaped me at that time. I remember how excited you were when you went into the Scottish Rite and came home to tell us that you were now a 32nd. degree Mason . You bought a 32nd. degree ring and wore it with pride. You even bought the 2 volume set of Mackey's Revised Encyclopedia of Freemasonry to learn more about the craft. I guess I always knew that you wanted me to become a Mason , but somehow I always fought against the idea. People (non Masons ) always told me, "Hey, if you're one of them Masons , you got it made. You can really go up in the world, get promotions and everything." Somehow that always turned me off. I guess I was young and had ideals. I wanted to get ahead on my own, without someone giving it to me. In 1960, in the first job I had with the City of Houston, a new supervisor (a Mason ) reassigned me to work in his office and used my expertise about the department and my abilities to revise the operation of the department. After the work was finished and he had the credit for the increased efficiency, I was reassigned back to the streets and the supervisor brought the only Mason in the department to work on the inside. It not only hurt, but it proved to me that "those people" were right. By 1974, I had long since transferred to a different department and been promoted first to a foreman, then to the supervisor over 90% of the department. My supervisor, a Mason , had promoted me over the other Masons in the department. This changed my views on Masonry and I filled out a petition for the Mysteries of Freemasonry that year. As you probably know, for various reasons (including money) I kept delaying and never turned it in. After your oldest grandson, John Neil became a Mason , I could see the same excitement in his eyes that I used to see with you. His eyes seamed to ask, why aren't you a Mason dad? The answer was simple. Hey, I'm in sixty four years old, and it's to late for me to start something like that. But, I was still interested and read a number of books including "Born In Blood" by John J. Robinson. That book came after yor time. John is a history writer,widely respected in his field, specializing in Medieval Britain and the Crusades.and a non-Mason. He later wrote another book, " A Pilgrim's Path", where after 5 years of research at an advanced age, he became a Mason, . I was very impressed by what I read. I did know enough to know that he would never be ask. For some reason I took it upon myself to convince him that he should think about becoming a Mason. That's when he pulled the big one on me. "I will if you'll go in with me," he said. What better way could I help my daughter and her husband through life then by saying OK . . . John was overjoyed when I ask him to get petitions for Pete and I. I know now that you would have been also, if I had ask you. Anyway, that's what I wanted you to know, I was raised to a Master Mason in the Cedar Bayou Lodge #321 in December, 3 months before my 65 birthday. Then the next July, I went through the Scottish Rite and received the 32nd. degree. Not to long after that, I was initiated into the Shrine. And, not to long after that, I had a duel membership and was also in the Humble Lodge #979 close to home. The above letter is my story and it is one that came from the heart.